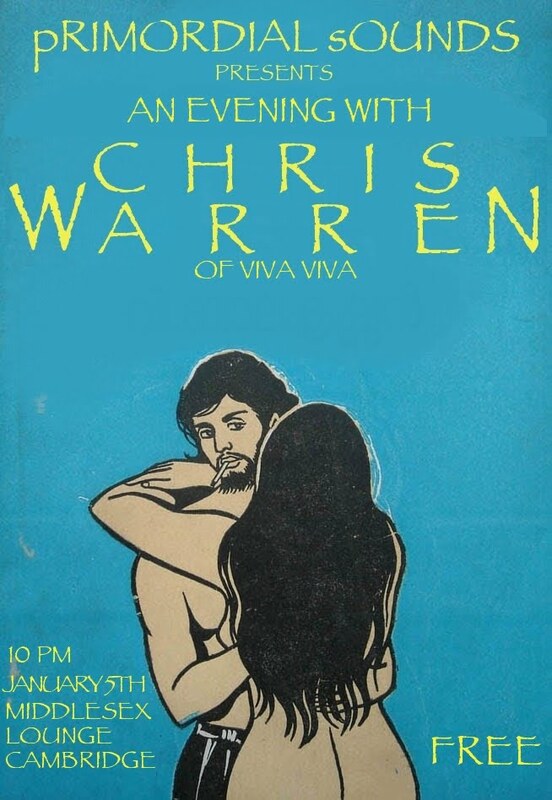 Come out Wen Jan 5 to the Middlesex Lounge in Cambridge, MA for an evening with Viva Viva guitarist/singer, Chris Warren, presented by pRIMORDIAL sOUNDS, a 60's and 70's psych and pop nite hosted by Spencer and Noah from Doomstar! This should be a great nite out to shake off the holiday hangover and to get 2011 started off!! And it's FREE!! RSVP on the facebook event page.